We are actively involved in the evolving regulatory framework for commercial use of unmanned aircraft systems (“UAS” or “drones”) in Massachusetts. We are working closely with the MassDOT Aeronautics Division on issues involving the regulation and integration of UAS into the Massachusetts airspace. We are also working with MassDOT to help the agency utilize UAS as tools to service the state’s road, rail, and air transportation network. We also practice before the Federal Aviation Administration (“FAA”), building on our longstanding relationships established through our national airport law practice. With decades of experience in the aviation sphere, we are able to navigate the regulatory, commercial and insurance issues the UAS industry faces. 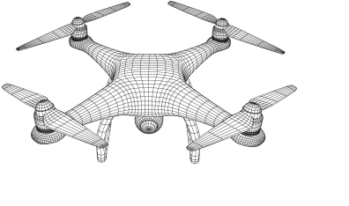 For instance, we recently helped a drone manufacturer obtain a first of its kind “beyond visual line of sight” waiver from FAA. We also assist our municipal clients in their efforts to regulate UAS in a manner consistent with federal statutes and regulations applicable to this developing industry.